Well, it’s official. 7th Crawley Scout Troop are NUMBER 1! 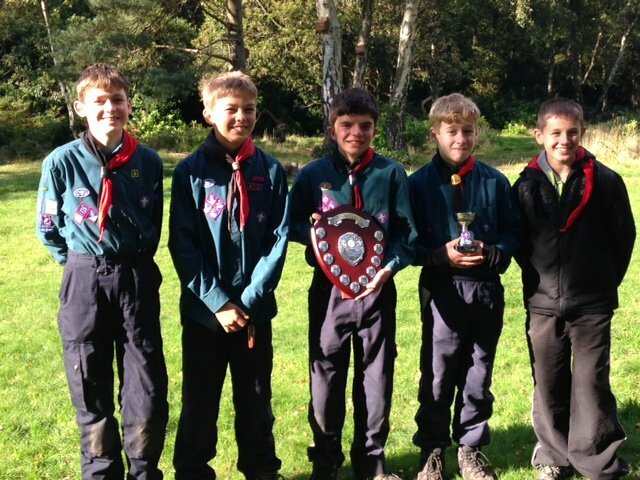 – Our team of intrepid and adventurous young Scouts, comprising of Ben, Joshua, Peter, Joe, Jamie and Courtney (not pictured) outshone the rest of the field, and Scout Troops, all competing for the Crawley District Camping Shield. Well done to every one of the Scouts within the District for taking part and for making the competition such a hard one. Thanks to the organisers for arranging the weekend.